Modenus’ second BlogTour for 2014 is headed back to New York City where it all began. We will be visiting the AD Home Design Show and explore the city in a, for BlogTour, very new fashion. This tour is all about learning for our team of bloggers and while design still plays a major role in the tour, we will be meeting up with photographers, stylists, a renowned designers and a few other nice people that are ready to share with us what they do and how, with a few tips and tricks, our blogs can become even more professional looking. Please follow our bloggers below to learn what’s new on BlogTour. hdSTYLESTUDIO (a division of Habermehl Design Group Inc.) is a full service residential and small commercial interior decorating and design studio. Since 1996, Owner and Principal Alison Habermehl has been the creative visionary behind the evolving company. 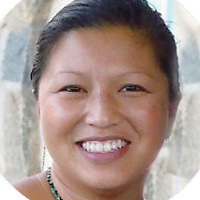 She is supported by a dedicated and multi-faceted team in the areas of design, assisting, styling/decorating, business operations, marketing and professional renderings. Together, their combined strengths deliver projects from initial conceptualization to stunning completion.Inspired by contemporary design that’s fresh, organic, sophisticated and uncomplicated, each project is an astute fusion of the client’s individual style, complimented by the company’s steadfast vision. Be sure to follow Alison’s creative vision via Twitter, Facebook, Pinterest. Jeffrey Design LLC, founded in 2008, is a dynamic interior design firm that is highly sought. Their expertise encompasses the design of interior spaces for impeccable lifestyles; they provide quality end results and stunning spaces for luxury residential properties. Jeffrey is also a Licensed Real Estate Agent and clearly understands “return on investment value” as it applies to the design of a property. “I am intrigued with how people are living,” Jeffrey says. He thrives on using textiles, furnishings, upholstery, accessories, and lighting to collaborate on a distinctive hue or a combination or pattern of hues, complementing style and period. 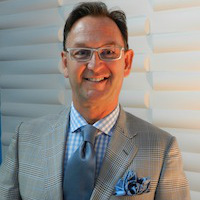 Self-taught, Jeffrey Johnson provides great interior design services. Get to know the multi-faceted Jeffrey via Twitter, Facebook, Pinterest and Google+. Award-winning designer, Deborah Main, the founder and dynamic creative force behind the exclusive private studio Deborah Main Designs, brings a rich depth of artistic creativity and imagination to her luxury decorative pillow line. Inspired by her notable Hudson Valley, New York heritage, and the creative hothouse of Austin, Texas, Deborah Main’s exquisite and distinguished visual signature style is highly prized by interior designers, collectors, editors, and all who value the essential elegance of her luxury pillows. Deborah Main is continually inspired by the timeless, intersecting crossroads of fashion, culture and history. She loves crafting this rich mélange into an opulent artistic aesthetic that excites home owners and collectors today, tomorrow, and for generations to come. Learn more about her artistic aesthetic via Twitter, Facebook, Pinterest and Google+. Typhanie Peterson is an interior decorator who loves beautiful things.Having been on the “top ramen” budget before, she knows what it’s like to have good taste but not have the money to show it. Because of this, she became very handy with a glue gun and a DIY lover.Those inspiring projects can be found on her Blog or on the Think Crafts Blog where she’s the Home Decor Contributor. Along with her crafts, she creates made to order products in her own designs that bring a splash of creativity to anyone’s home, from fabrics, pillows, wallpaper, and prints. On a personal note, one of her main goals in life is to bring hope and love to the world.In that pursuit, she’s been blessed enough to have worked on several charity projects recently, including; The Upward Bound House, The Good Shepherd Project and The Pad. All of which have allowed her to not only help others, but also gain an understanding of people and the world. 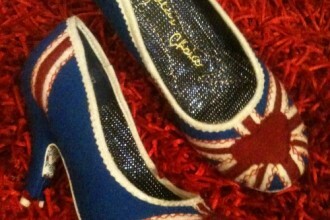 Check out more of Typhanie’s inspiring projects via Twitter, Facebook, Pinterest and Google+. Paola Thomas is a British food and travel photographer based in Seattle in the entrancing Pacific Northwest. She has been an enthusiastic photographer ever since she was given a Kodak Instamatic at the age of six. She loves to tell stories with her camera through the juxtaposition of light, shape, color and texture and bring an infatuation with color and a graphic sensibility to her work. She styled most of the still-life food images in her portfolio herself and has access to a fabulous dedicated and fully-equipped food photography studio in downtown Seattle. 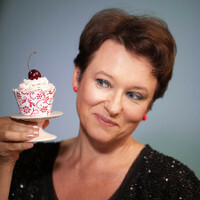 She’s currently writing and photographing a regular seasonal cakes column for Edible Seattle, and her product photography has appeared in Elle, the Times, the Independent, the Daily Mail, the FT’s ‘How to Spend It’ and Exeter Living. Two of her photographs were chosen to feature in the Feast fine art photography exhibit juried by Matt Armendariz. Get a glimpse of Paola and her photography via her Twitter, Facebook, andPinterest. 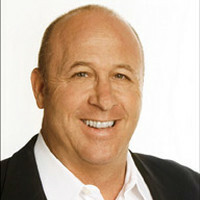 Marc Abelman is CFO and Director of Marketing for Inside Style. He brings new ideas and creative business options to the company while maintaining standards of service above the rest.Having been a service professional for over 26 years in the restaurant business, Marc knows the top rate service his clients came to expect from him. From humble beginnings at a local Pub in San Diego, CA, he finished his restaurant career in Las Vegas, NV, at a Michelin Star rated restaurant Michael Mina in the Bellagio as one of the lead professionals.As part owner and CFO, Marc is responsible for managing the Financial Planning and Marketing. Marc started this role initially to support his wife and business partner Jill, so she could focus on Design and Furnishings. As the business progressed, Marc found his involvement and role needed a full time effort.Marc’s strong desire to live and work in a positive environment puts everyone in a valued position and creates a “win-win” work ethic. Please follow Marc on Twitter, Facebook, Pinterest and Google+. Opened in September 2004, Inside Style was a long time dream of its owner Jill Abelman. After design school, she spent 6 years working her way up through the ranks of interior design companies in Newport Beach and Los Angeles, where she was promoted to project manager and lead designer for several prominent design firms. In 1992, she opened a retail home accessory store in Laguna Beach California. 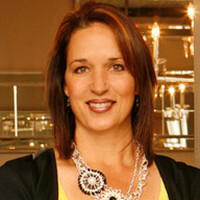 She operated the store while still designing for residential clients, and commercial projects that included corporate offices, a yacht re-design and a bridal salon.In 1998 she was recruited by a National Homebuilder to come to Las Vegas to open their Homebuyers Design Center and start a Model Home Design Department. Becoming Vice President, Jill was responsible for all of the model home projects in the Valley. It was a great experience, however, Jill longed for the creative freedom that comes with entrepreneurship. 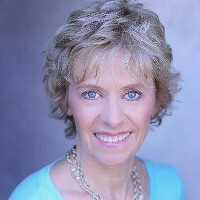 Get to know Jill and her entrepreneurial spirit via her Twitter, Facebook, Pinterest and Google+. 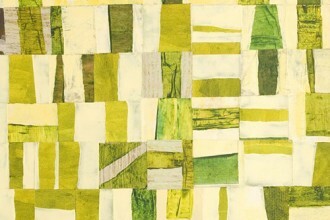 Maureen Coates has always had an inherent interest in design and decor. After being a stay at home mommy for 19+ years, she went back to school part time to become a certified Interior Decorator. She started MODECOR 5 years ago to provide Interior Decorator and Design Consultant services. 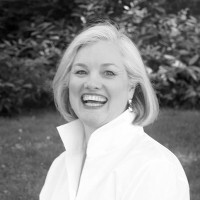 Maureen finds that her personal experiences with moving and downsizing are reflected in her business as she now specializes in designing small spaces.She is a huge proponent of colour in design and decor.She believes in surrounding yourself with the things you love.She does not follow trends, as she thinks you should love the space you are in. She has been published in Ottawa at Home Magazine, Ottawa Magazine, The Ottawa Citizen and have appeared on local TV with 6 other designers, The TBBs as we talked about seasonal decor. She is an accredited CDECA member and has won a CDECA Decorating Award. My huge interest in colour and undertones led me to become certified as a True Colour Expert /TCE through colour guru Maria Killam’s excellent colour courses. 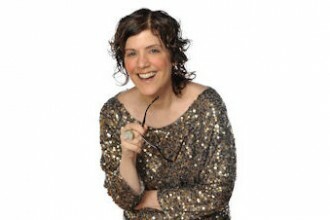 Learn more about Maureen and her personal experiences via Twitter, Facebook, and Pinterest. Color, fashion, style, design… Marcy Michaud has always loved beautiful things.As a girl, she started reading magazines, designing and decorating her bedroom, and learning how to sew. Later on, she studied fashion merchandising, worked at a magazine, did pr, traveled as a television spokesperson, was a fashion consultant and a boutique store manager.And she likes techie things.The combination is exactly what Stylesson is about. A merging of “style” + “lesson”, stylesson features visual inspiration, as well as a comprehensive directory of blogs. Being able to find the beautiful things, to highlight them and to focus on the bloggers that create them, that is Marcy’s goal. Find the beautiful things with Marcy via her Twitter, Facebook, Pinterest and Google+. 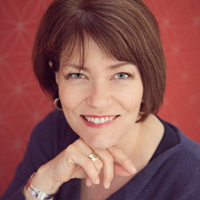 Vicki Gladle Bolick, C.I.D., is the owner and principal designer of Bolick Interiors,LLC. 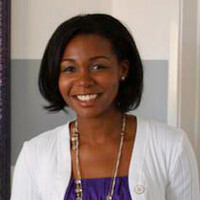 She is a Residential Interior Design graduate from the Vanguard School of Interior Design in Atlanta, Georgia, and also is a Certified Interior Decorator. .As an Atlanta based firm, Bolick Interiors specializes in developing interiors that are unique to the client. Vicki’s designs reflect a lifestyle and she believes in taking the client’s taste and making it better. 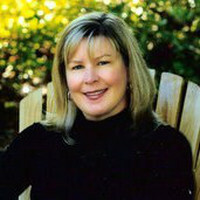 She believes that living spaces should reflect the way we live our lives, and through getting to know her clients she has created interiors that are warm, stylish and comfortable.Her work has been recognized in the Atlanta Journal’s Home Section, Home Improvement Magazine, Decatur Living, Northside Woman and Forsyth County News. 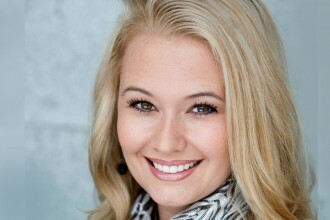 Recently, she has begun to receive ”buzz” in the design community with her blog The Ace of Space Blog. Her interiors range from traditional with a twist, to transitional, and contemporary. Learn more about Vicki and her new blog via her Twitter, Facebook, Pinterest and Google+. 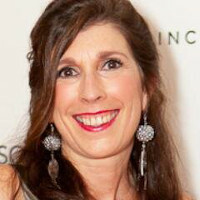 Having developed her sharp eye for color, composition, and emerging trends as a fashion design student at Parsons School of Design, an interior design student at the New York School of Design, and 20 years in the fashion industry, Jeanne started her interior design business and blog Cozy•Stylish•Chic in 2013 in Pasadena, California, which she now calls home. She is a moderator for the popular G+ Interior Design Community of over 13,000 members and will be assuming the duties of Style Spotter for High Point Market for 2014. She has lived in such exotic places as Singapore, Jakarta, and Bali, and the exposure to these cultures have shaped what influences her today– color, details, and exotic embellishments. Jeanne always manages to keep things real with her approachability, her outgoing personality and her sarcastic sense of humor. Stop by for a visit to see what she’s up to or just to say hello via her Twitter, Facebook, Pinterest and Google+. Veronika – thank you SO much for including me in this fabulous group of bloggers and interior design professionals. Can’t wait! How exciting to be part of this fabulous blog tour team!! Thank you Veronika!! Can’t wait to meet everyone!! Having fun learning about fellow bloggers I’ll join in NYC.. even one from Seattle. Hoping to meet her before travel. So appreciative to be included in this awesome event. Thank you Veronika. Congratulations! What a great group. Veronika, I hope you’ll be doing Modenus & Marys at the AD Home Design Show. I don’t want to miss it. Wow, this is quite a list of impressive resumes. Enjoy yourselves everyone! 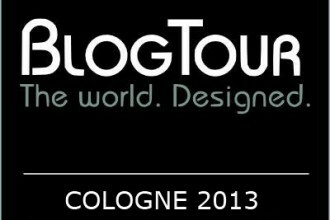 Congrats Bloggers and welcome to the BlogTour Alumni! Enjoy your trip with the fab Modenus crew bound to be an absolute blast!!! I have been doing the ‘Happy Dance’ since I received my invitation to Blog Tour NYC. When I am finally fortunate to meet the other attendees, I will be the one still dancing. 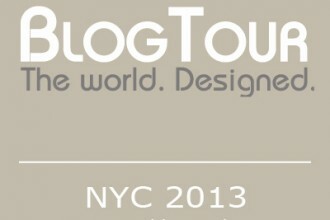 I have been doing the ‘Happy Dance’ since I received my invitation from Veronika to attend Blog Tour NYC. I will still be dancing when I meet all the attendees in less than 4 weeks. Thank You! looking forward to catching up with everyone at Blogtour NYC with Veronika’s Mimosa cocktail party — congratulations everyone and you are in for a wonderful treat! Mary’s and Mimosa’s has become one of the things I look forward to at the AD Show. Thanks Veronika. Looking forward to seeing everyone soon! what a fab talented group–I can’t wait to meet you in NYC!